From time to time, we all throw away things that have very little wrong with them and could easily be used again after a simple repair. 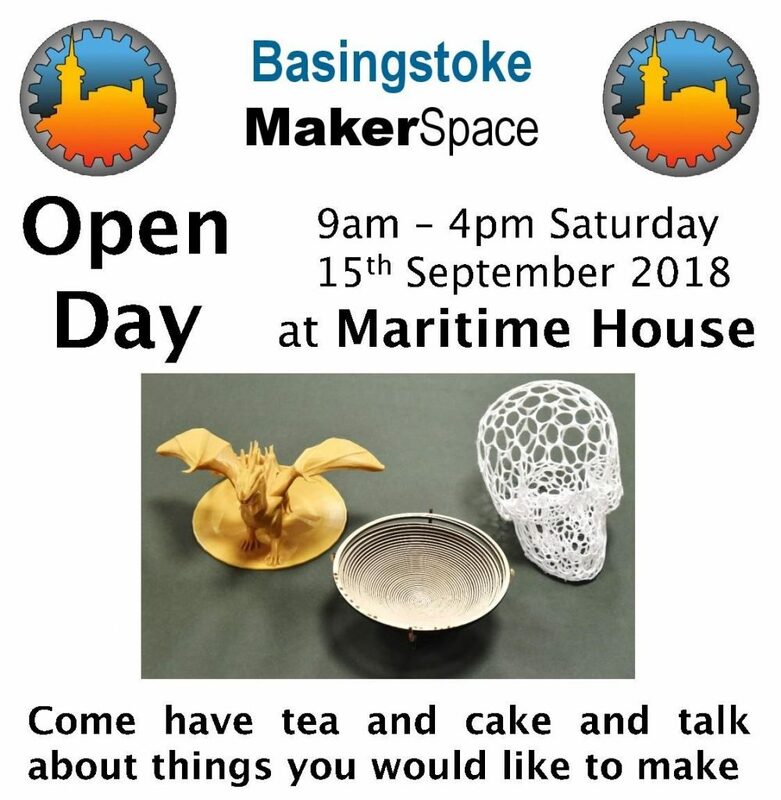 If you have something broken but could be repaired, then bring it along to Basingstoke Makerspace on Sunday 23rd and we will do our best to help you repair it. 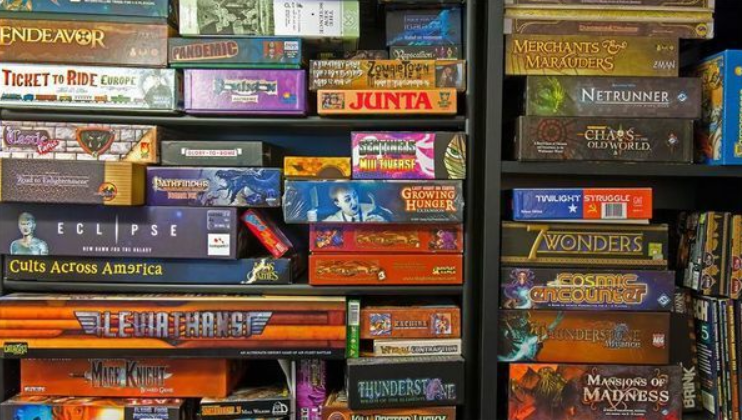 The event is staffed entirely by volunteers and anyone can pop in! As well as repairs, tea/coffee and biscuits will be available. 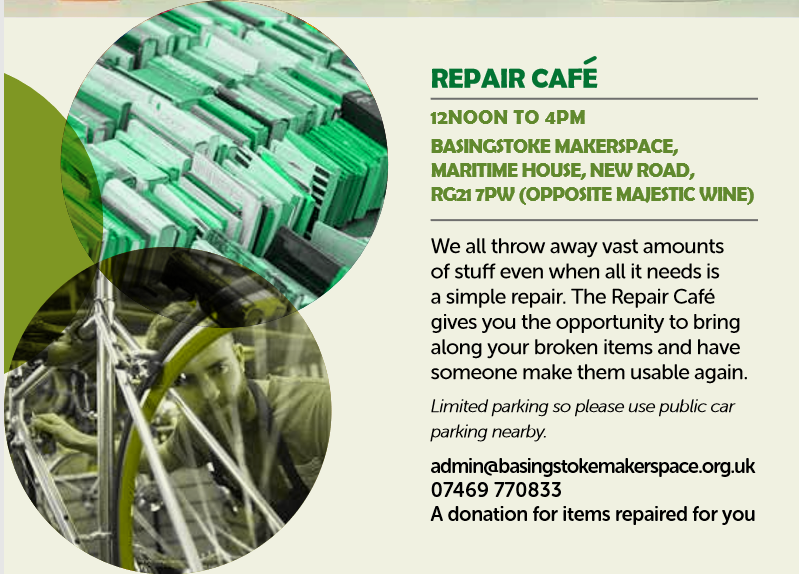 We appreciate any donations to help fund the next repair café. 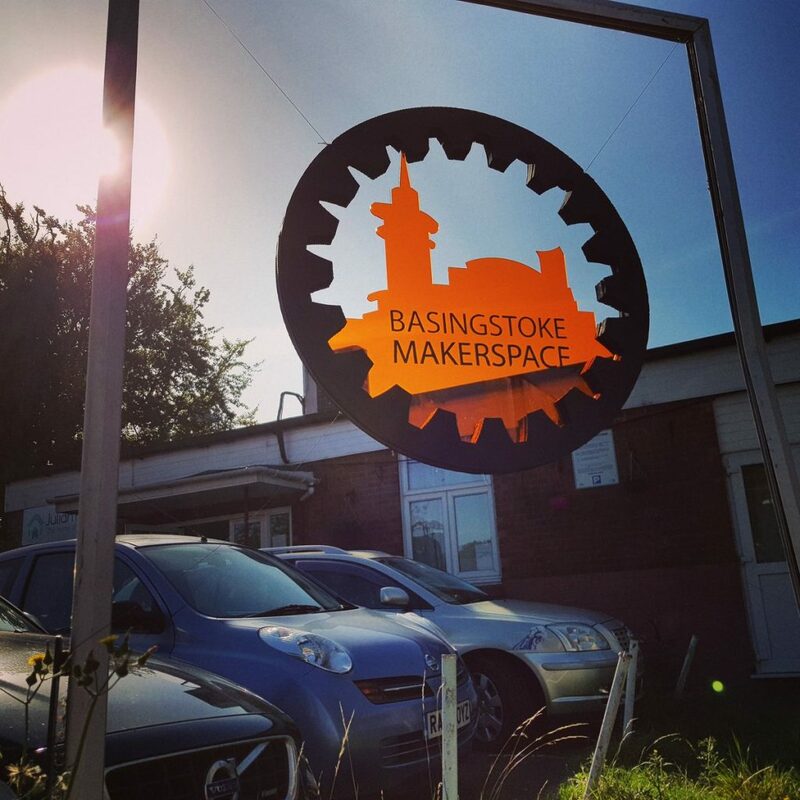 Basingstoke now has it's own Makerspace; a collaborative work space for making, learning, exploring and sharing . We are holding our "Annual Open Day" on from 9am-4pm on 15th Sept 2018. Join us!